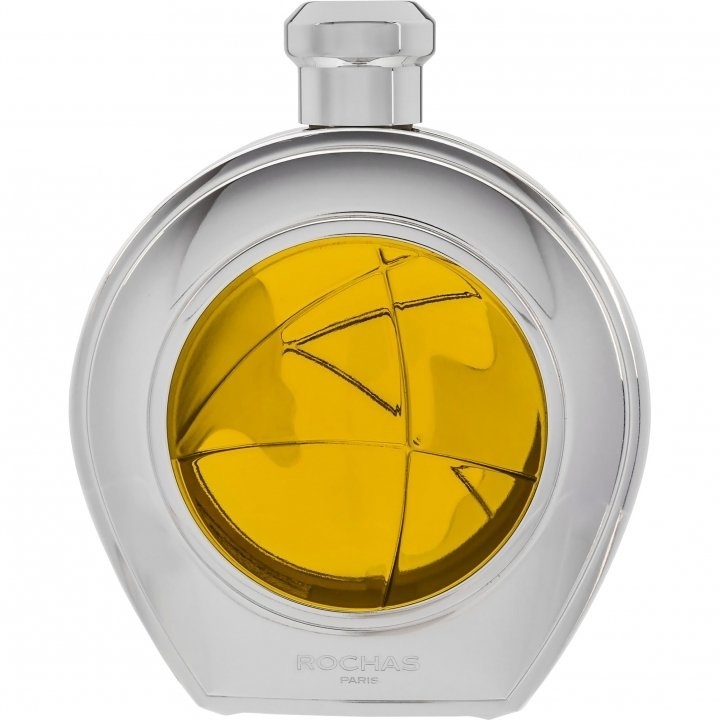 Globe (Eau de Toilette) is a popular perfume by Rochas for men and was released in 1991. The scent is spicy-woody. The production was apparently discontinued. Putting this on brings out that old dry basement chemist smell, mingled with generic milled hotel soap. The soap smell fades quickly and then storax/cumin aroma takes over. After a bit it smells papery, Overall, Globe is a generic, warm, medicinal, and milquetoast kind of scent - nothing revolutionary or really interesting. I suppose I got a bad bottle, or for me, this world is flat. Globe is one of the lost boys from the 90s. Guerlain Heritage (the only one of the bunch still in production), Jacomo Anthracite, Givenchy Insense, Paco Rabanne Tenere. Diverse trends led to the perfumes of the 90s. The fougères from the 70s, the power frags from the 80s, the remapping of the terrain by Davidoff Cool Water. The fragrances themselves have a range of olfactory qualities and don’t smell alike, but they are a cohort, and they were launched into similar markets. There are a plenty of opinions as to why this set of fragrances didn't take hold, and an equal number of opinions as to the meaning of their failures. Assuming all of the above forces and trends, let's just take a look at the perfume. Globe didn't jump out at me the first time I wore it. I certainly have fallen for perfumes at first sniff (Insense, 1969, Egoiste, Liaisons Dangereuses.) These perfumes back up their promises with the goods. If what you're selling is (capital-B) Beauty, you better be ravishing. I've had to work on some of the more meaningful perfumes. (Aromatics Elixir, Cristalle, Vol De Nuit.). Not every perfume offers the same thing, and my love or value of a perfume isn't be based strictly on the first impression. In fact, it's the challenging perfumes that bring me back. Uncertainty can be delicious. The perfume that Globe brought to mind when I first tried it, is Baldessarini, a perfume I don’t particularly like. I find Baldessarini a ‘sweet nothing’. All I get from it is a lingering sweetness. There were some vague perfumes coming out at this time, with blurred qualities. Vaguely sweet. Vaguely fresh. Vaguely water-like. Some conquered this era and were able to pursue minimalism. Case in point is Jean-Claude Ellena, currently the in-house perfumer for Hermes, whom many cite as the creator of Globe. (Wikipedia and Now Smell This. 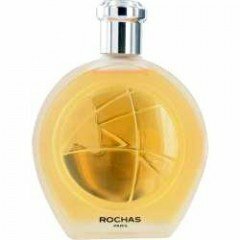 Fragrantica and Basenotes cite Nicolas Mamounas, the perfumer who created Byzance, Mystere and others for Rochas, as the perfumer who composed Globe.) Many perfume houses misunderstood the impetus for minimalism and instead created wan, pale, diluted perfumes. I missed the point when I looked at Globe through the lens of Baldessarini. With Globe, Rochas offered not so much minimalism as subtlety. Globe is a sweet floral chypre, with a medicinal tone that ties the balsams to a peppery carnation, offering not so much an exact scent as a feeling of chilled sweetness. It suggests the apprehensiveness of an overcast day. Will the cover break, or will it rain? Globe smells like glare and the palor of light through clouds, and connotes weather in the same way that Hermes Equipage does. Equipage is more crisp and incisive, but both share a coolness that I associate with a cool season or climate. Also Like Equipage, Globe has grown on me and I’ve come to appreciate its virtues over the years. I wonder how Globe would fare if it were released today. Why Globe was discontinued is an open question. Luca Turin groups Globe with the 'lost boys' I mention above, suggesting that they were too good or too pure to survive an era that called for cleansing and reparation from its men's fragrances. I won't disagree. Shame, though. Globe would have been a great alternative to so many of the sport/fresh/aqua fragrances of the 1990s. It rang a few of the proper bells, being chilled and smooth, but didn't come with the mark of being a Cool Water clone. The World in a Bottle? Perfumes come and go – many that fade away have been in no way remarkable. However, our attitudes towards discontinued ones are determined by the exceptional fragrances that you miss ever single day. Surely, I would count in Globe. 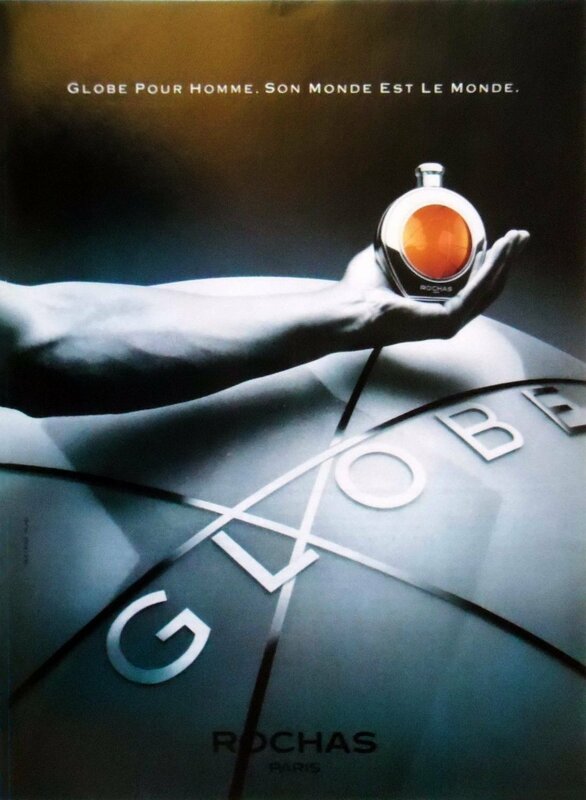 Globe was released by Rochas in the early 1990's, and it was a kind of intermediate fragrance. It had the complexness of the gent's perfumes of the decades before but it was already lean enough for the new millennium. I believe it had been reformulated one or two years after its first release. The vintage version did not appeal to me when I came across it: I remember it was rather resinous and very much on the oriental side. The one I have is lighter and easier to wear. I think Rochas presumably made a mistake by presenting Globe as a kind of Art Deko perfume. It came in a wonderfully designed perfume bottle that matched perfectly with the style of that period, and so did the fragrance. The vintage version came with a silvery application to the 100 ml flacon which gave it a very noble look. Sadly, this was cut down later. I cannot remember Art Deko style being trendy in the nineties. The fragrance itself had to very much compensate the shortcomings of its marketing. Being very complex, Globe is really hard to describe. If I should put it into a single sentence, I'd label it as a carnation scent for men. The floral side is in no way prominent, yet, it is discernible. There are also herbaceous and spicy notes as you can see in the pyramid. However, Globe is one of those perfumes that you would hardly do any justice by commenting on a few of its notes. Globe is truly unique. For me, it has a somewhat shaded or detached character, and its colour tone would be petrol (as its outer package). It is a perfect weekend fragrance. I like to wear it on a rather cool summer day, with cloudy skies and maybe rain. It has an air of Sunday relaxation, of a recreational walk in a park or simply of doing nothing in particular. I suppose, the original story behind that name was something more spectacular. There is a general rule: no blind buys! But how can anyone follow that rule and explore the best discontinued fragrances still around? Globe is still available on the net, and for a reasonable price. It has grown on me, and I do not want to miss it. Recommendable? For sure! Write the first Review for Globe (Eau de Toilette)!